With patient’s needs at the heart of everything we do, our website has been designed to make it easy for you to gain instant access to the information you need. As well as specific practice details such as opening hours and how to register, you’ll find a wealth of useful pages covering a wide range of health issues along with links to other relevant medical organisations. For GDPR information and Subject Access Requests please visit the 'Practice Policies' section. 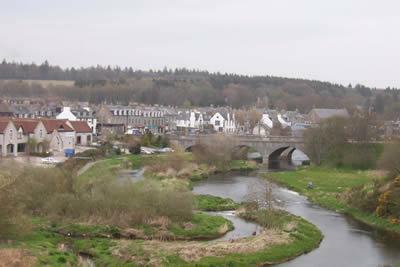 NHS Grampian (NHSG) are seeking to secure funding from the Scottish Government Health & Social Care Directorate for a new Health & Social Care Hub in Ellon. To support the funding bid, Aberdeenshire Health & Social Care Partnership and NHSG are holding a 'drop in' public engagement event to find out "what matters to you and your community" to understand public priorities in accessing Primary Care, Social Care and other community support. Our health centre is fully accessible to disabled patients, with wheelchair access in all waiting rooms, and consulting rooms. We also have disabled toilet facilities available. A hearing loop is in place at the front reception desk. A wheelchair is available at reception. Designated disabled parking spaces are located nearest to the entrance to the health centre.